Japan’s Port of Yokohama is on track to open its new cruise terminal at Shinko Pier in mid-2019 after starting construction work in June. The port has now begun work to build the 17,400-square-metre terminal building and to extend the existing cruise pier to 340 metres in length. This, combined with the 9.5-metre depth, will enable the port to welcome cruise ships weighing up to 110,000gt. 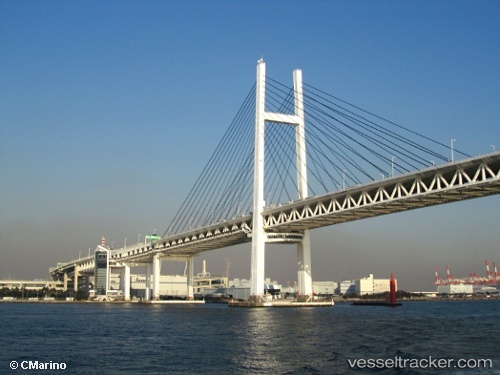 NYK is participating in a study launched by Japan’s Ministry of Land, Infrastructure and Transport and Tourism (MLIT) to explore the feasibility of LNG bunkering in Yokohama. This study is examining the technological and infrastructural requirements for establishment of an LNG bunkering hub at the port of Yokohama to supply LNG as fuel to ships. A kick-off meeting of the study’s steering committee was held on June 9 for the creation of a facility development plan by the end of the year. In accordance with the NYK Group’s medium-term management plan, “More Than Shipping 2018,” NYK has started the process of using LNG to fuel some ships. In August 2015, the company received delivery of Japan's first LNG-fueled tugboat named “Sakigake”. Moreover, NYK has already begun construction of the world’s first LNG-fueled car carrier and LNG bunkering vessel, and has teamed with ENGIE and the Mitsubishi Corporation to develop the LNG bunkering business. NYK looks forward to applying the company’s knowledge and know-how to this study for the development of LNG fuel for ships.